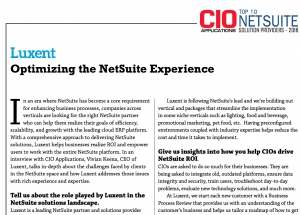 We came across a blog post by NetSuite that highlighted a recent study by SL Associates. The study found that moving to cloud-based business systems offered manufacturers dramatic improvements in key performance indicators (KPIs). 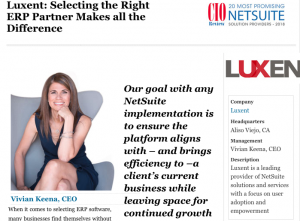 The study looked at KPIs NetSuite customers considered most critical to their business and measured the improvements across several different areas since moving to NetSuite, in addition to offering greater visibility into data and processes. Some customers surveyed included CMP Corporation, Shaw Industries, Eemax, and Data Physics Corporation. Financial management. Revenue recognition increased 45 to 65 percent among respondents, while reporting time and resources used decreased 70 to 90 percent respectively. The time needed to close financial books declined from 75 to 90 percent. For Shaw Industries, the world’s largest manufacturer of carpets, the benefits of NetSuite are apparent: what used to take their complete financial team the better part of a week each month to close the books on a legacy system, now takes them only a day with NetSuite. Manufacturing visibility and performance. The biggest improvement for participants in the research was in the cost of carrying obsolete inventory, which went down 60 to 80 percent, or 2 to 5 percent of revenues. Production efficiency improved 50 to 80 percent, and payroll processing costs declined 50 to 75 percent. Sales and marketing. Order processing efficiency improved 45 to 75 percent, and sales pipeline and productivity went up 40 to 60 percent by moving to the cloud, according to the research. Unlike Shaw’s legacy systems, which typically process order invoices in a batch run overnight, with NetSuite the company can take a customer order, fulfill, ship and bill, all in a single day. IT management. The big improvement here is in the cost to purchase and maintain servers—a reduction of 100 percent. Likewise, the cost of IT support resources declined 50 to 70 percent, and business continuity/disaster recover costs declined by 35 to 55 percent. By using a cloud provider, the manufacturers automatically got the same disaster recovery resources already in place by the provider.